1950s Fashion is certainly a topic that’s gained popularity here on Skooldays in recent months. Today we find out why it proved such a strong decade for fashion. In 1949 clothes rationing came to an end for Britain, and fashion was now ready to hit the big time. This is one of the reasons why 1950s fashion is still so dearly loved 60 years on. The early fifties saw new labels aimed at the younger generation. The dificulty was few had any money after the war to take advantage of this new fashion. Christian Dior’s new fashion lines were given the names ‘Corolla’ and ‘Eight’, and were characterized by a large bust, tiny waist and full skirt, not to mention controversially using up to 20 yards of expensive fabric. But unless you had money to burn the new look wasnt seen on the average teenager at that time. The ‘Pencil dress’ was very slimming and accentuated the waist and curves of the body back in the 1950s, whilst the ‘Full skirt’ needed a petticoat and lots of net to achieve the exaggerated effect. Nylon was often used to create the desired look, from a light swirl to a huge round spread. 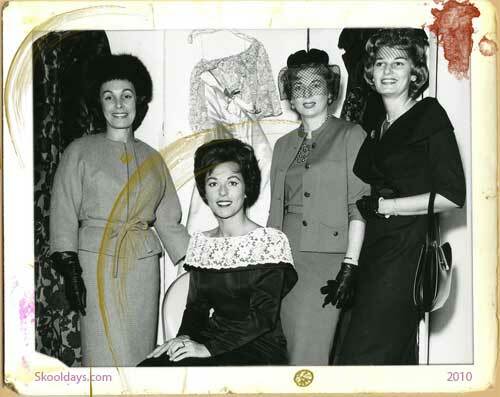 By the late fifties fashion was now part of everyones vocabulary and everyones wardrobe. The need to fit in with peers was stronger than ever and retail fashion new just that. From the 50s through to the 90s fashion almost hit a full circle. But 1950s fashion still stands as revolutionary compared to any other decade. 1950s fashions are still attractive. Because of women fashions of that stage are more feminine. It is the best decade for fashion in my mind!